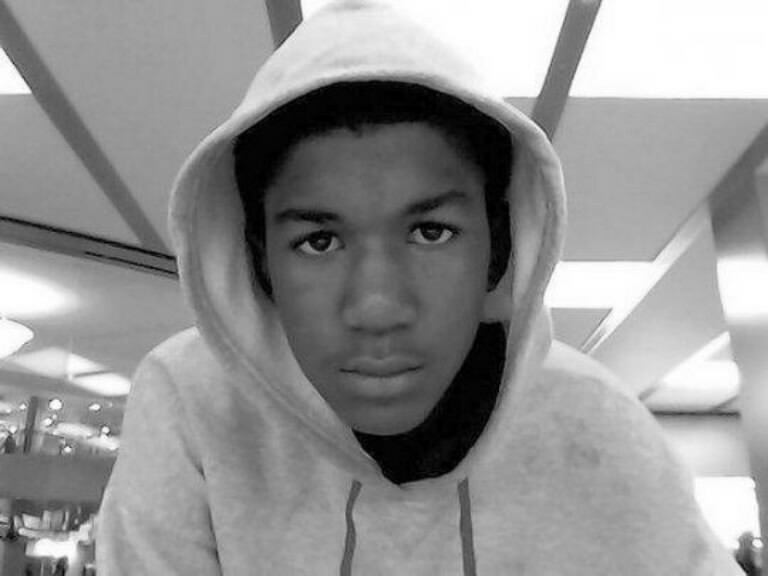 Can you believe one year ago today 17 year old Trayvon Martin was gunned down in an act of total cowardice that took this country by storm? Martin was visiting his father in Sanford, Fl when he went to a corner store to get a bag of Skittles and an Arizona Iced-tea. He was on his way back home when he was ‘allegedly’ confronted by neighborhood watch captain, George Zimmerman, who felt the young black male was suspicious because he was wearing a hoodie in the rain. It took days for the story of Martin’s death and law enforcement’s failure to arrest Zimmerman to make its way into the national news. I only heard of the story after my friend in Washington D.C., who happens to be white, sent it to me. The weeks it took for the arrest to be made prompted criticism of Florida’s “stand your ground” gun laws, and outrage at the perceived racial bias in the case’s handling. A study commissioned by Florida’s governor found that 73 percent of defendants who enacted the self-defense statue were declared innocent in cases where the victim was black. Additionally, 61 percent of white voters polled after the Martin shooting were still in favor of the “stand your ground” law, while the majority of black voters were not. Zimmerman claims that he was attacked by Martin and feared for his life. His attorneys are now using the defense that the confrontation went beyond the bounds of “stand your ground,” and into the realm of traditional self-defense. So using the logic of his defense, I guess a burglar can get off for killing you if he breaks into your house and you pull a gun on him. It doesn’t matter that the burglar invaded your personal space as long as he was defending himself after he feared for his life. Are you serious? We will continue to have debate about this case as well as other cases like it, but at the end of the day it will not bring Trayvon back. A mother and father are left to go on with life with a permanent hole in their heart in the shape of their son. The only vow we can take is to continue to make sure this never happens again to another family. Regardless the color of the person who pulls the trigger, we have too many black boys leaving this earth at the hands of senseless violence. So today I will rock my hoodie in solidarity with Trayvon Martin’s family but also in an act of solidarity for my own family. I have six beautiful black nephews and they mean the absolute world to me. I pray every day that someone will not mistake them for a ‘thug’ just because they choose to wear a hoodie to protect themselves from the rain. I just looked out my office window on this very rainy day and counted 15 students wearing hoodies. I dare someone question why they are adorned in such attire.